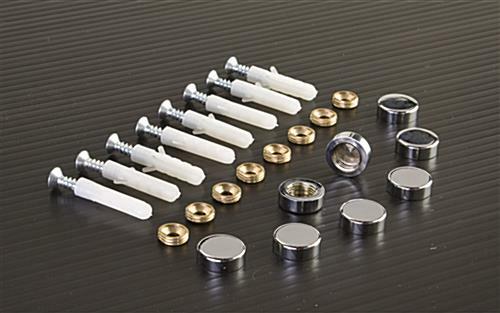 Set of (8) includes anchors, screws, washers and screw covers. Each set will mount (2) separate signs. Polished chrome silver finish complements any environment. These screw cap covers make wall-mounted signs look great! 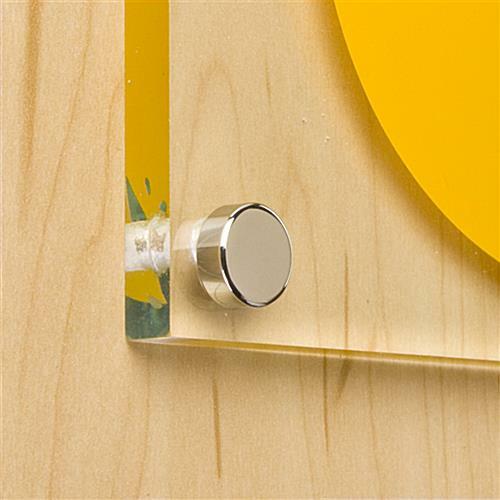 Fasteners, screw cap covers have a chrome finish, giving signs an additional stylish accent. When mounting signage with these screw cap covers the unsightly heads of screws are covered with a screw cap measuring 5/8" in diameter. 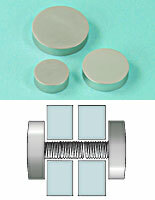 These screw cap covers called fasteners, or screw heads stand slightly above a signs surface. 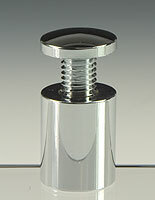 The 3/8" thickness of the screw covers provides a more deluxe style than a completely flat screw cap cover does. 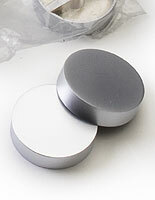 Screw cap covers hold signs securely in position. 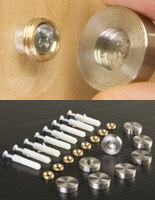 We supply these screw cap covers with all the hardware needed to fully mount a sign with pre-drilled holes. 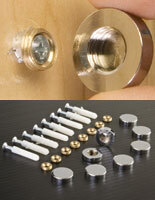 Using decorative hardware to mount signage can add upscale style to your establishment. 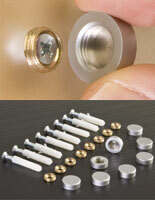 These screw cap covers enhance signs for a low price, and with minimal effort for installation. 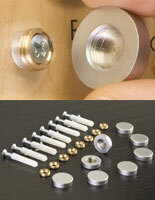 To install these screw cap covers simply mark the points where your sign's pre-drilled holes will line up. Use a drill to make holes for the anchors. 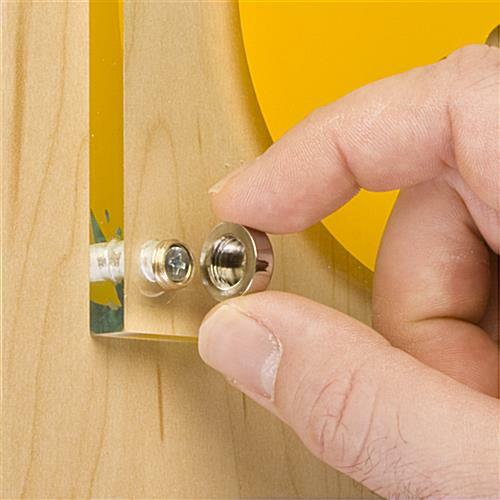 Place the threaded O-rings over the screws and insert the screw through your sign and into the anchors. Once the sign is in place tighten the screws. 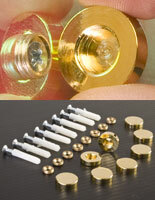 Finally, place the screw caps over the threaded washers and turn clockwise. 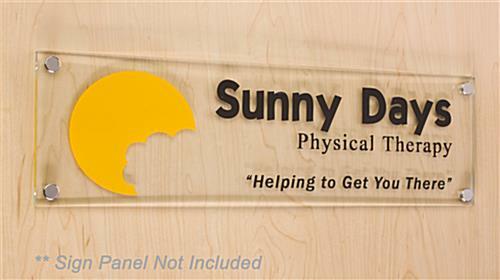 The result is a securely mounted sign that looks great!